This is the twelfth episode of the fourth season of The Big Bang Theory. The episode is called “The Bus Pants Utilization”. 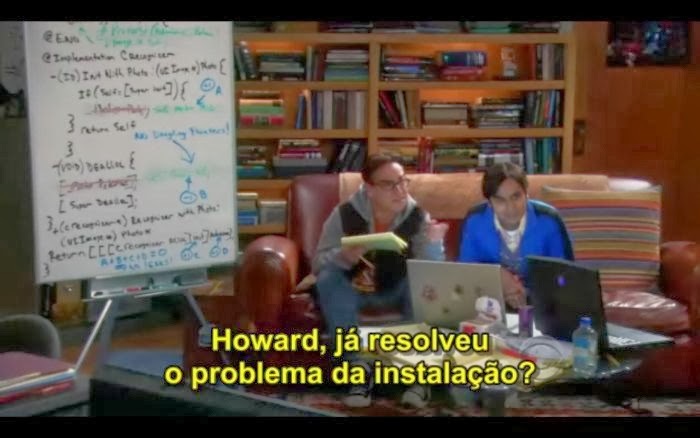 In this episode they develop an application for iOS to calculate equations from photos taken. The code that appears is an Objective-C code of an iOS app. 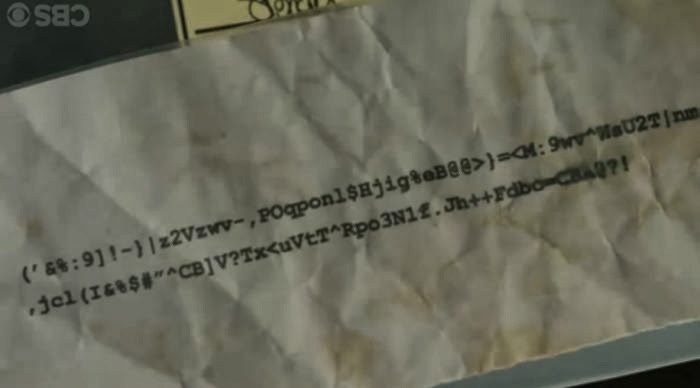 I believe that this code was written specially for the episode. 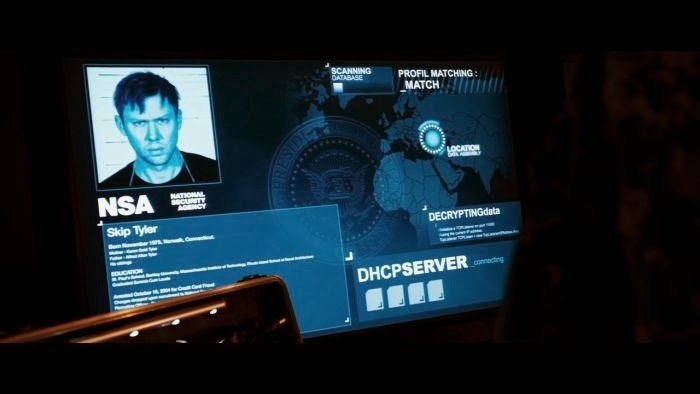 In White House down at 51:00 the villain is searching through a database to delete his “record”. 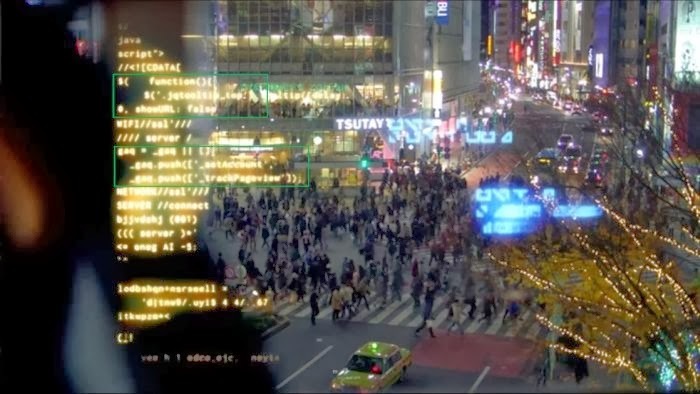 On the bottom right you can see scrolling C# code. The appears to be a Microsoft example of decrypting data. So, kind of relevant. Code is from a Symantec C++ class library. 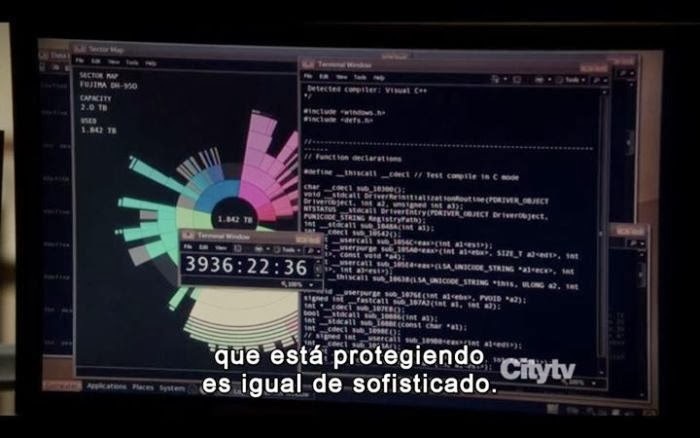 In the TV series Person of Interest the software shown is Daisy Disk; the source code appears to be from the decompilation of the Stuxnet malware. In the pilot episode for the 2011 re-imagining of the TV show Charlie’s Angels a floor safe is found beneath Gloria’s kitty litter box. While breaking into the safe the image in question appears. The code is a snippet of a Sudoku puzzle solver written for the Obfuscated C code contest in 2005. That code can be found here. A day after the airing I had not found anyone who posted about this little gem so I had commented on a review of the episode at the time. 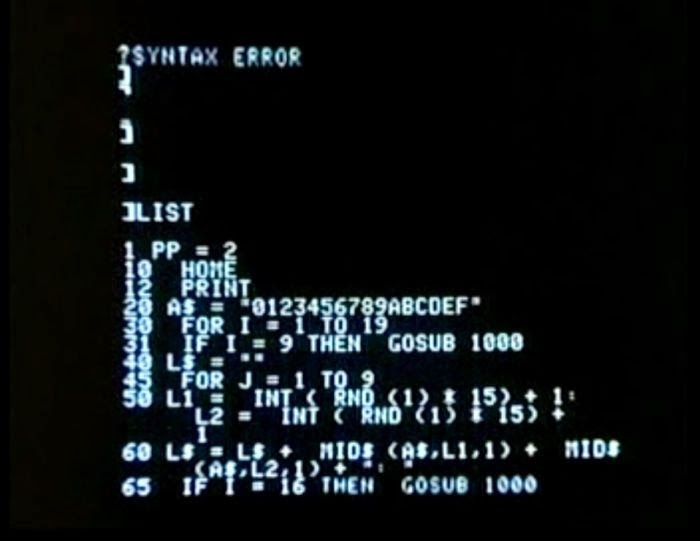 In episode 3 of series 2 of Airwolf computer expert Dr. Karen Hanson has to deal with a “Logic Bomb” in Airwolf. 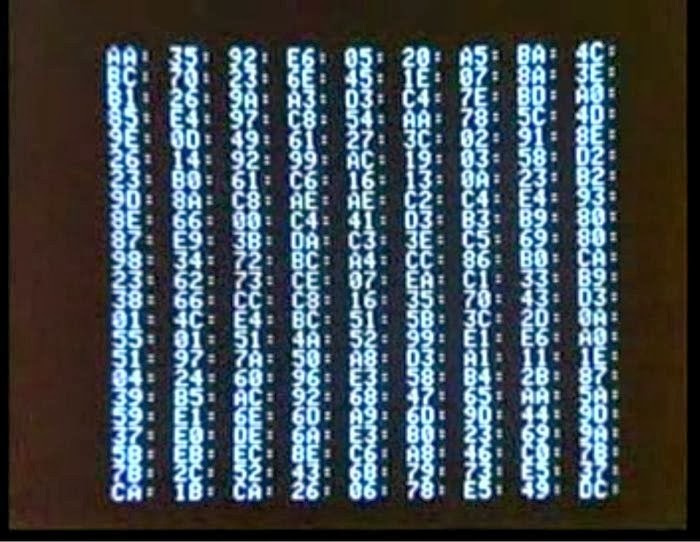 This is first depicted by a screen full of hexadecimal numbers. Subsequently she is seen listing with the LIST command an Apple BASIC program that produces a screen full of… random hexadecimal numbers. Debugging note: notice that the screen of hexadecimal does not contain the digit F at any point. This is because the code used to generate the random hexadecimal contains a bug. The INT(RND(1) * 15) + 1 will produce an integer from 1 to 15 and can never output 16 and hence the F from the string A$ is never chosen. This was pointed out by Mr Phlip. 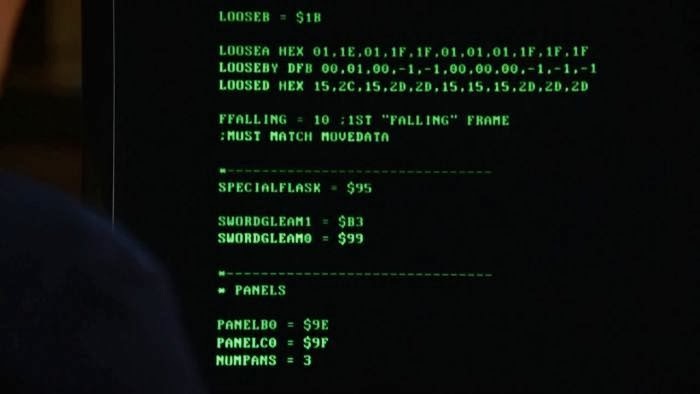 The whole intro to the Doctor Who episode The Bells of Saint John is filled with things like “add tooltip”, find unordered list elements, if browser is IE than connect (ha! as if that would support whatever they are doing), location protocol checking, Google Analytics and etc. Looks like someone copied the source of a random web page. At another point the Google Analytics token of the web site WindGuru is apparently shown. Perhaps one of the designers is a keen sailor. Other shots so different parts of the same web site. 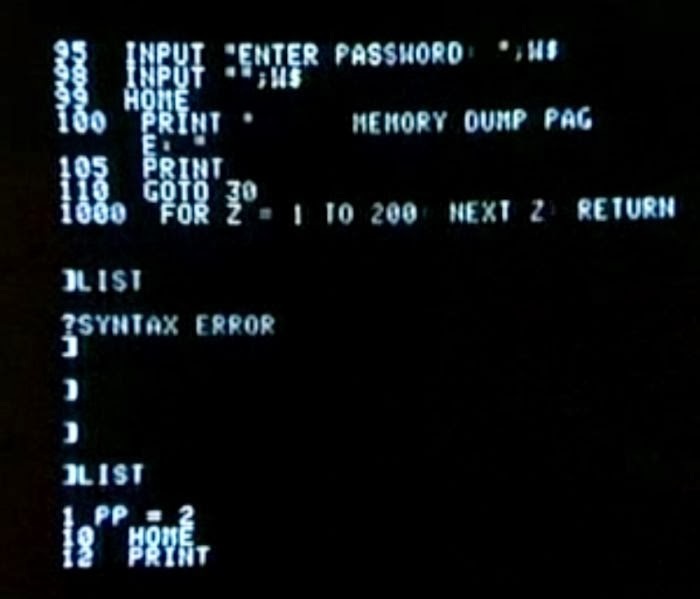 In the TV series Revolution (series 1, episode 6) some of the source code of the Apple II version of Prince of Persia is shown. 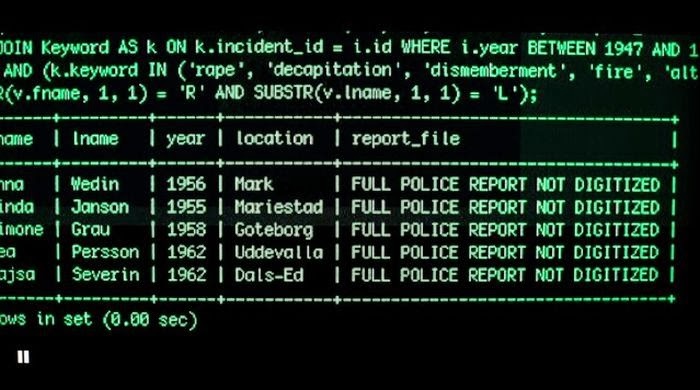 The Girl with the Dragon Tattoo uses apparently legitimate SQL to show the character’s attempts to research murders. Her skills may be questionable though. 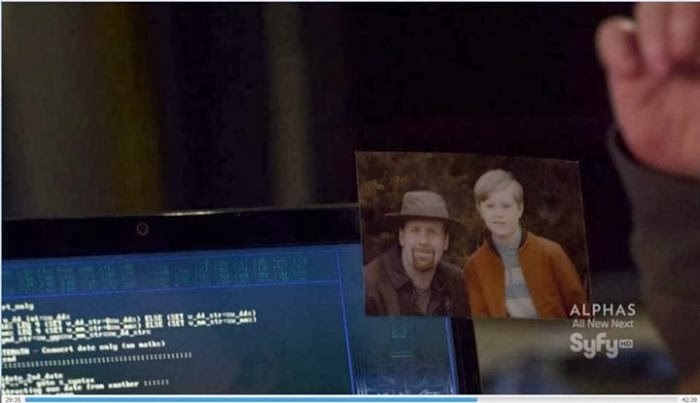 On the TV show Alphas (season 3, episode 5) on SyFy channel is a copy of this script which just adds or subtracts days from a date. 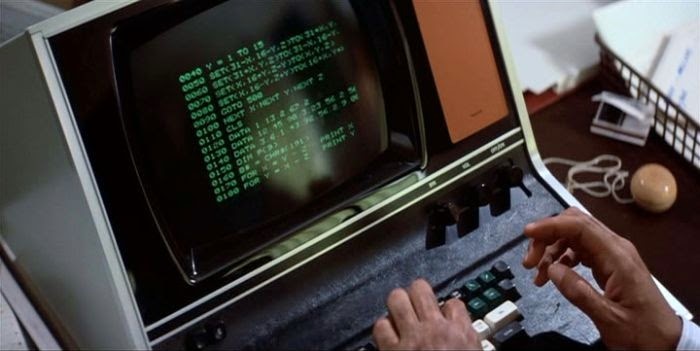 This guy has done a great analysis of Gus Gorman’s code in Superman II that “programmes two bi-lateral co-ordinates[sic]”: complete with source code! 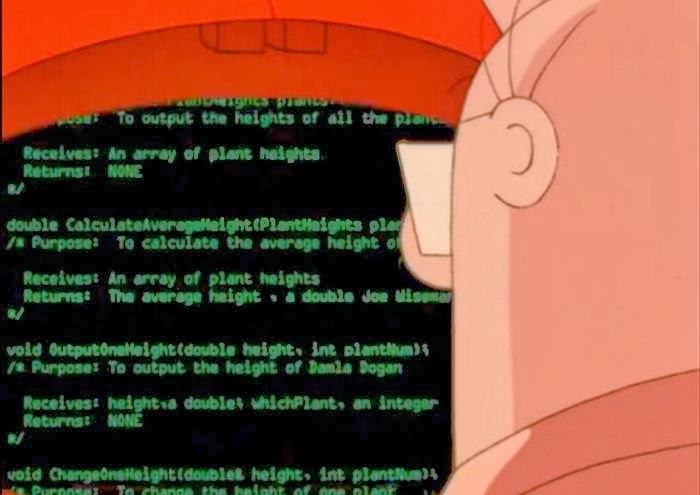 In the TV series Dilbert (season 1, episode 10: “Y2K”), Wally is fixing… plant code on the mainframe!? Discussion of this code. In Teenage Mutant Ninja Turtles 3 (who could forget that movie?) 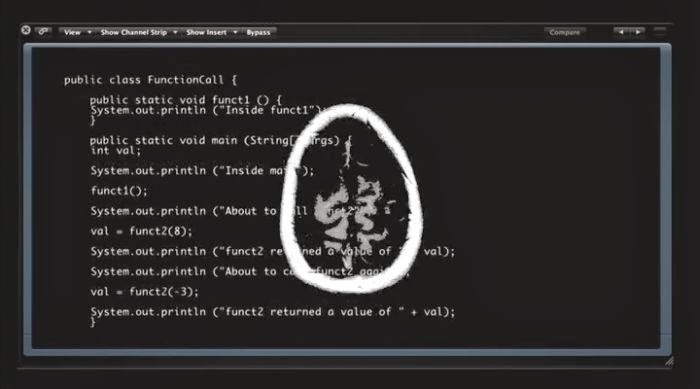 there’s what looks like some Turbo C.
In Battle Royale part of the source code of nmap is shown. In DOA: Dead or Alive part of the Linux 2.6 kernel is shown. 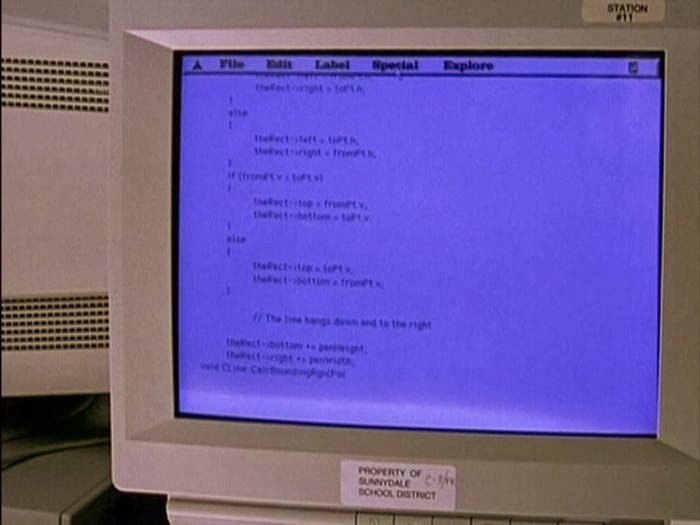 In the TV Series Grey’s Anatomy some very simple sample Java code is shown. 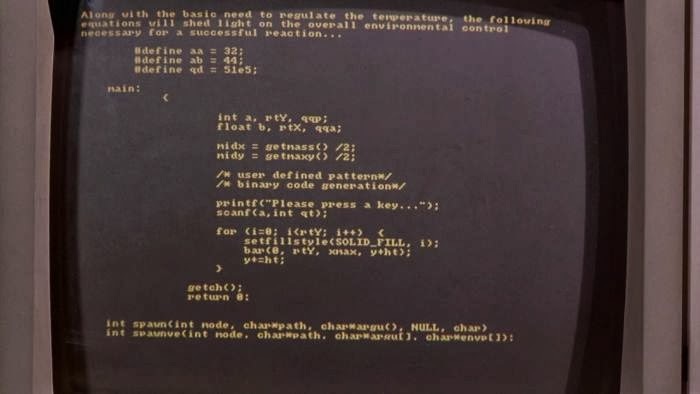 1 response to "Source Code in TV and Films (20 pics)"